One of the most important emerging areas of food science research involves the increased use of health-promoting microorganisms and foods. These are commonly referred to as “probiotics” and “prebiotics.” Many of the desirable bacteria are produced through fermentation. This webpage includes a number of articles that describe the potential benefits of different types of useful microorganisms. You can also learn the relevant science in lay terms, along with relevant government policies and regulations. 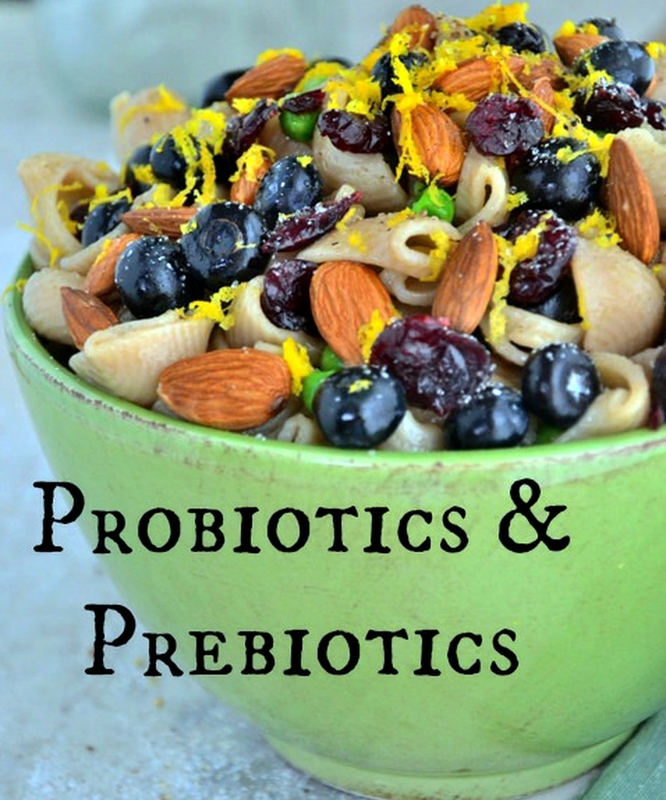 You’ve probably heard of prebiotics and probiotics, but do you know what they are? Nutrition research has pinpointed specific functional components of foods that may improve health, and prebiotics and probiotics are two such substances. Though they are available as dietary supplements, it is not necessary to use special pills, potions, cleanses, or other concoctions to incorporate prebiotics and probiotics into your diet. These “nutrition boosters” are natural ingredients in everyday food. 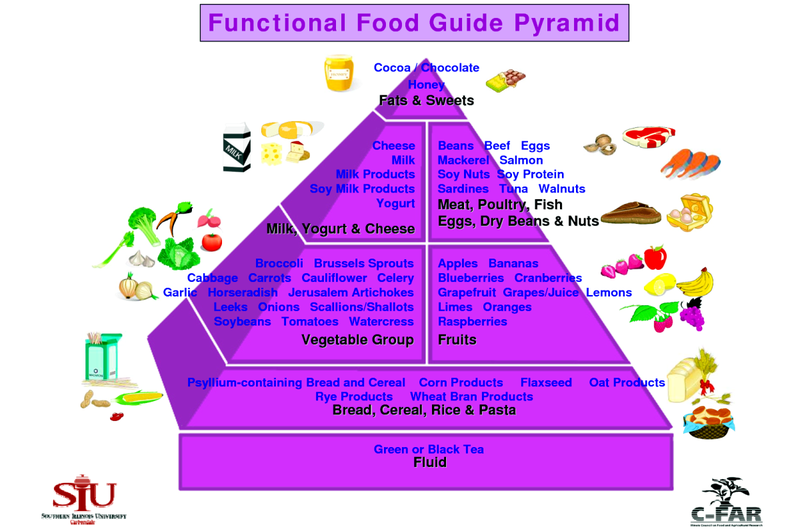 In fact, Kristi King, MPH, RDN, CNSC, LD, spokesperson for the Academy of Nutrition and Dietetics, suggests focusing on the food sources first. “They are more readily available for absorption and digestion,” she says. While research continues in this area of nutrition — investigating how effective and safe these substances are and how much we need to obtain health benefits — here’s what we know now. Prebiotics are natural, non-digestible food ingredients that are linked to promoting the growth of helpful bacteria in your gut. Simply said, they’re “good” bacteria promoters. 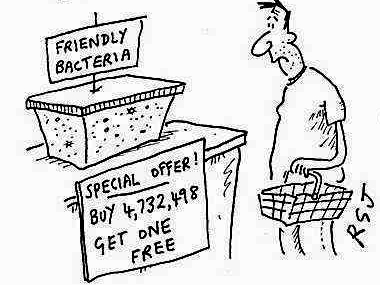 That’s right, not all bacteria are bad! Prebiotics may improve gastrointestinal (GI) health as well as potentially enhance calcium absorption. Prebiotics include fructo-oligosaccharides (FOS), such as inulin, and galacto-oligosaccharides (GOS). But rather than focusing on these lengthy words, include more prebiotics in your diet by eating these foods recommended by King: bananas, onions, garlic, leeks, asparagus, artichokes, soybeans and whole-wheat foods. Probiotics are actually the “good” bacteria — or live cultures — just like those naturally found in your gut. These active cultures help change or repopulate intestinal bacteria to balance gut flora. 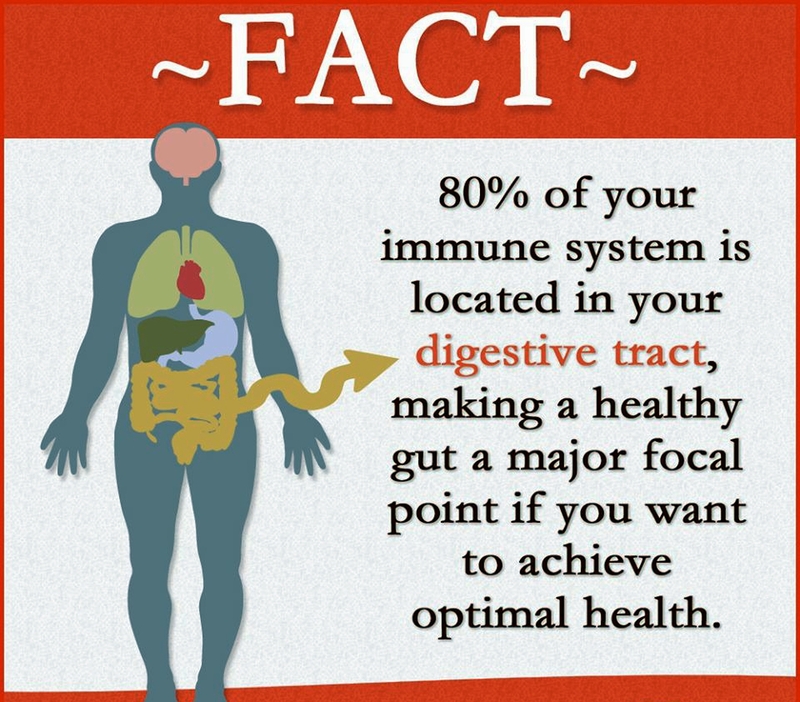 This functional component may boost immunity and overall health, especially GI health. For instance, probiotics have been used for treatment of irritable bowel syndrome. Some strains of these live cultures may help prevent specific allergy symptoms, reduce symptoms of lactose intolerance, and more. Effects can vary from person to person. 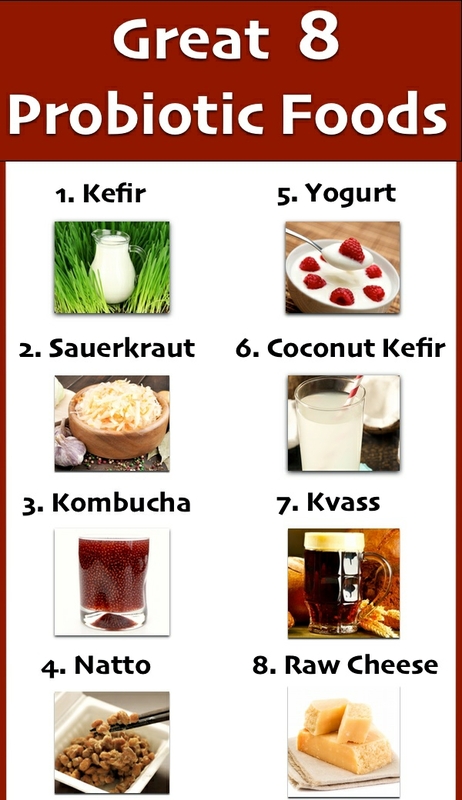 To obtain more probiotics, King recommends enjoying fermented dairy foods like yogurt, kefir products, and aged cheeses, which contain live cultures, such as bifidobacteria and lactobacilli. Plus, she suggests some non-dairy foods which also have beneficial cultures, including kimchi, sauerkraut, miso, tempeh and soy beverages. 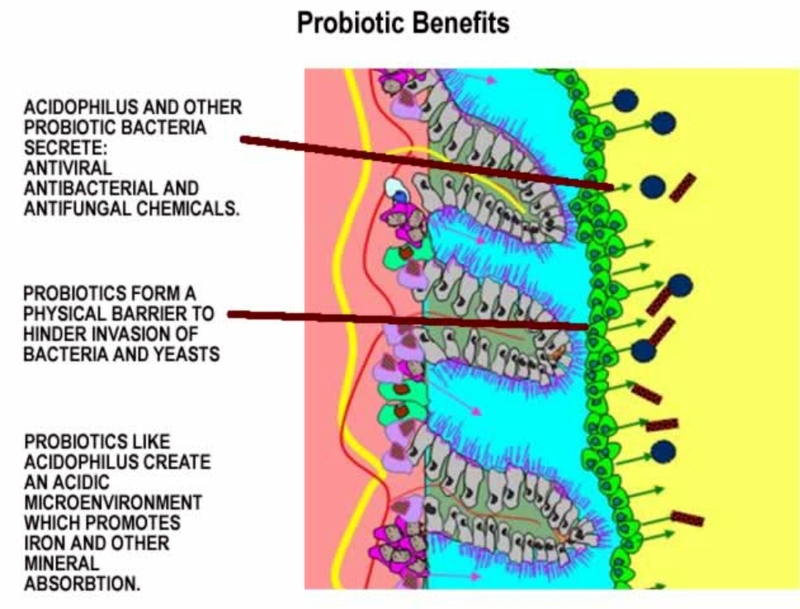 Ultimately, prebiotics (“good” bacteria promoters) and probiotics (“good” bacteria) work together synergistically. In other words, prebiotics are breakfast, lunch and dinner for probiotics, which restores and can improve GI health. Products that combine these together are called synbiotics. On the menu, that means enjoying bananas atop yogurt or stir-frying asparagus with tempeh is a win-win. The bottom line: At minimum, prebiotics and probiotics are keys for good gut health. “I think we are at an exciting time in research,” says King. “We’re finding that the gut flora is responsible for more than just digestion.” Basically, incorporating health-promoting functional foods, such as foods containing prebiotics and probiotics, into the diet potentially aids in creating a healthier you. Of course, not all bugs are made equal. In fact, some microbes are essential to the proper function of our guts; they help us to break down food, protect us against the bad bugs, and as it turns out could even help prevent obesity. You’ve probably noticed advertisements promoting the added benefits of probiotics for digestive health in various foods and as supplements. The term probiotic was first coined by researchers Lilly and Stilwell in 1965 to describe substances secreted by one organism that stimulated the growth of another, beginning a new era for digestive health research. Industry data indicates that from July 2010 to July 2012, sales of probiotic foods and supplements has increased as much as 79 percent. Clearly, we have come a long way since 1965. Interestingly, we are more familiar with the “opposite” of probiotics: antibiotics. Antibiotics are powerful medicines used to fight bacterial infections. If used properly, antibiotics save lives, but there is also an increasing concern about over-prescription and creating possible resistance in bacteria. So one question to ask today is whether overprescribing of antibiotics and antibiotics use in animals (and hence our food) has led to an increased interest in and need for probiotics. Our bugs are just not what they used to be. 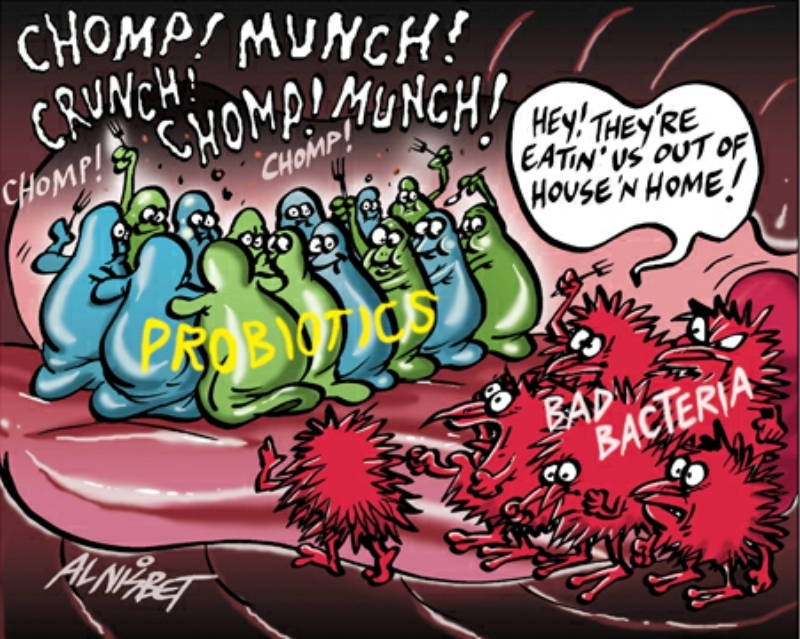 It may also be that pre- and probiotics are simply a hot topic in the mainstream media and health care journals. 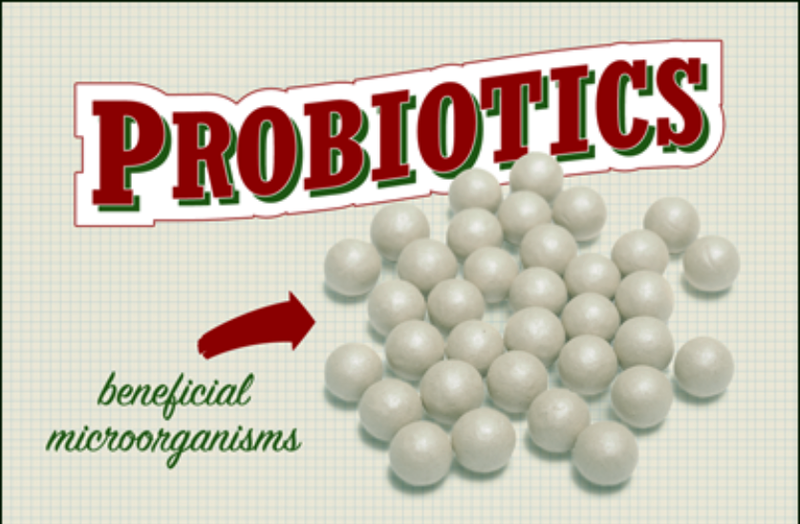 Let’s take a step back and examine what exactly are probiotics (and prebiotics). 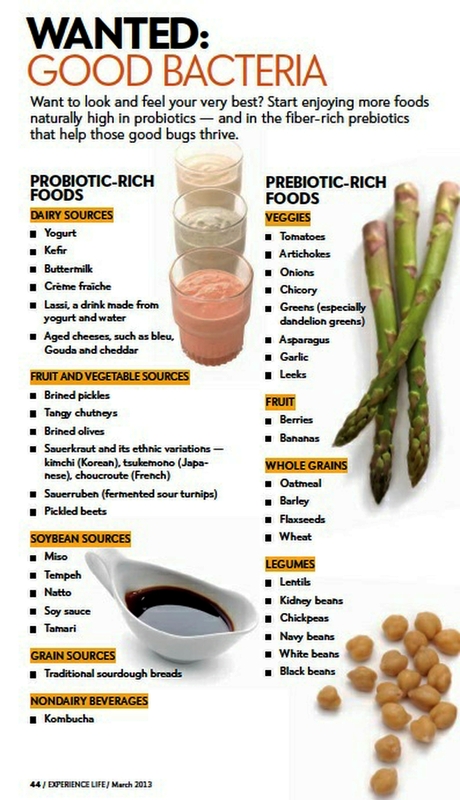 Prebiotics are the non-digestible carbohydrates that stimulate growth and activity of bacteria in our digestive systems. Prebiotics are found naturally in cruciferous vegetables such as broccoli, cabbage, cauliflower, kale, radish, asparagus, and whole grains. Probiotics are mostly bacteria, which assist in the maintenance of the natural balance of microorganisms (microflora) in the intestines. 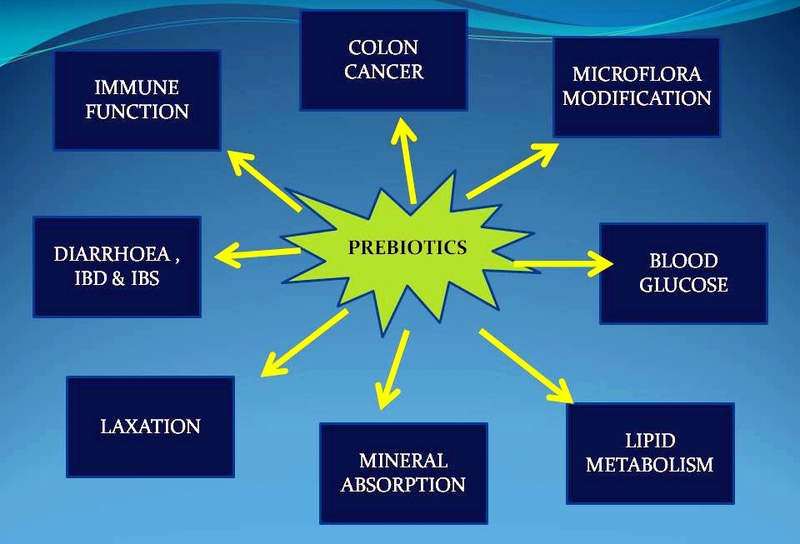 Therefore, prebiotics feed the probiotics. An average human digestive tract has approximately 400 types of probiotic bacteria. These probiotic bacteria reduce the harmful bacteria, suggesting that probiotics can prevent infections in the digestive tract and reduce inflammation. Some medical professionals go as far as recommending probiotics for the common cold. Lactobacillus acidophilus, which is found in yogurt, is the largest group of probiotic bacteria in the intestine. 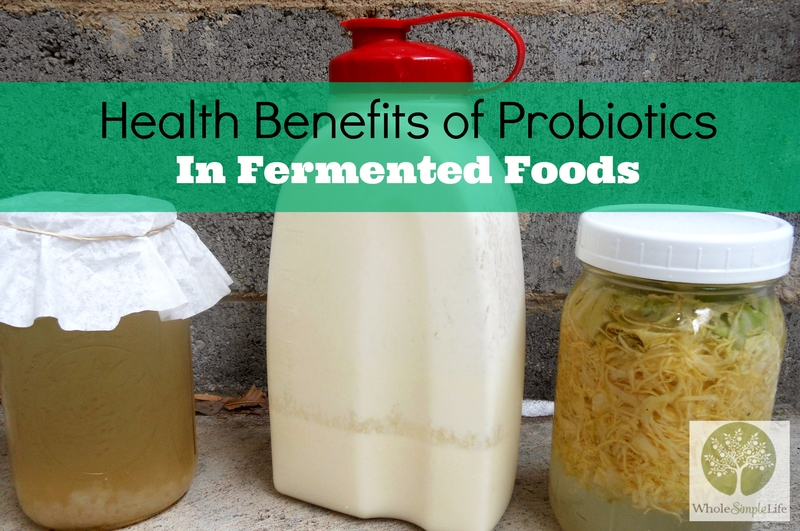 Other food sources of probiotics include sauerkraut, miso soup, sourdough bread, and pickles. And if those foods don’t sound appetizing, supplements can be found almost everywhere vitamins are sold. Although most probiotics are bacterial in form, a yeast known as Saccharomyces boulardii (a type of baker’s yeast) can also deliver health benefits if consumed live. So why is there an increasing focus on adding probiotics to the diet, whether through foods or specific products? Poor digestive health places a burden not only on an individual but on the health care system. The National Commission on Digestive Disorders in the U.S. reported in 2009 that 60 to 70 million Americans are affected each year by digestive diseases at a cost that exceeds $100 billion in direct medical expenses. Each year, an additional 105 million visits are made to physicians related to digestive diseases. If pre- and pro-biotics can help us reduce even a portion of these costs, they are worth serious consideration. Implications for the use of pre- and probiotics in the developing world for diarrheal diseases may be equally important. Diarrhea remains a primary cause of preventable deaths in children younger than age 5. A 2010 Cochrane review examined 63 trials of probiotics, which included 8,014 people with infectious diarrhea. Findings revealed that people who took probiotics were generally sick 25 hours less, without any adverse effects, and the risk of diarrhea lasting four or more days reduced by 59 percent. On June 12, The Sackler Institute for Nutrition Science at the New York Academy of Sciences and The International Scientific Association for Probiotics and Prebiotics (ISAPP), held a conference entitled Probiotics, Prebiotics, and the Host Microbiome: The Science of Translation. The conference served as a neutral forum to critically examine the potential population-wide economic and public health benefits of translating current research into innovative functional foods and biotherapeutics for a broad spectrum of conditions including obesity, diabetes, inflammatory bowel disease, and undernutrition. The conference intended to present both the pros and cons of prebiotics and probiotics, identify gaps in knowledge and urgent research questions, and initiate debate among the scientific community to ensure evidence-based decision making. 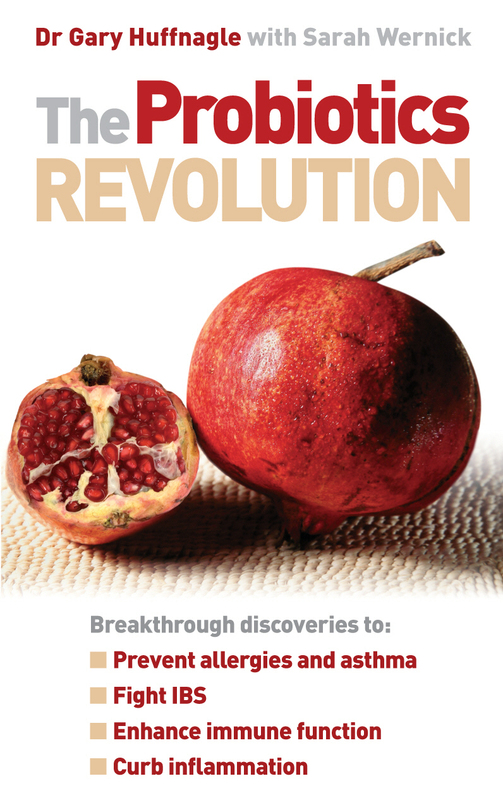 All signs point to a growing public interest in the possible benefits of prebiotics and probiotics in digestive health and beyond. However, science has to lead the way to ensure sound evidence is the basis for introduction of interventions for public health and new products in the marketplace. Continued research, evaluation, and public health campaigns are necessary to disseminate accurate and unbiased information. Bacteria are everywhere, and in the view of many people that’s a good thing. Many medical experts believe that consuming healthy bacteria, called probiotics, improves the body’s overall balance of good versus bad micro-organisms, boosting general health. But nutritionists warn that not all the probiotic-containing products found on store shelves provide the health benefits they claim. 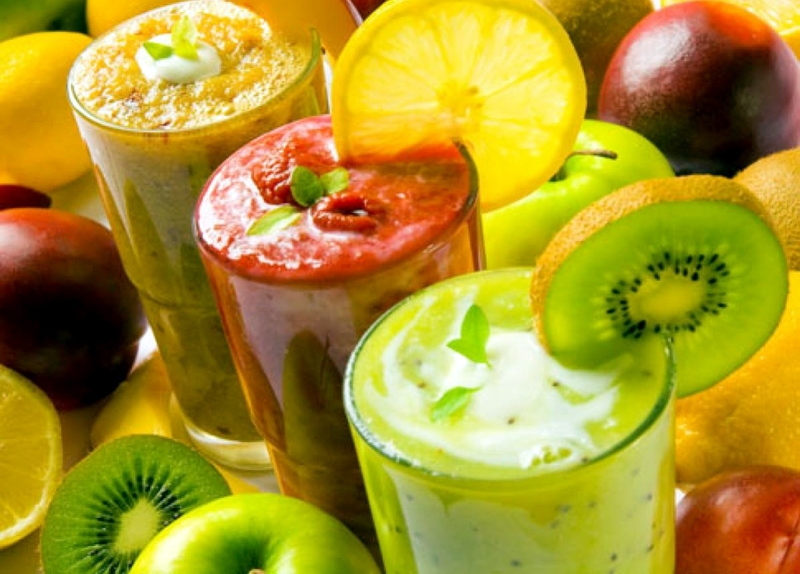 Companies have sought to attract health-conscious consumers in recent years by putting probiotics in products as diverse as yogurt, juices, muffins and even pizza, as well as in dietary supplements. Last year, 231 new probiotic-containing products hit grocery and pharmacy shelves, up from just 34 in 2005, according to market-research firm Datamonitor PLC. To be sure, some regular foods contain healthy bacteria, from common yogurt to naturally fermented pickles. 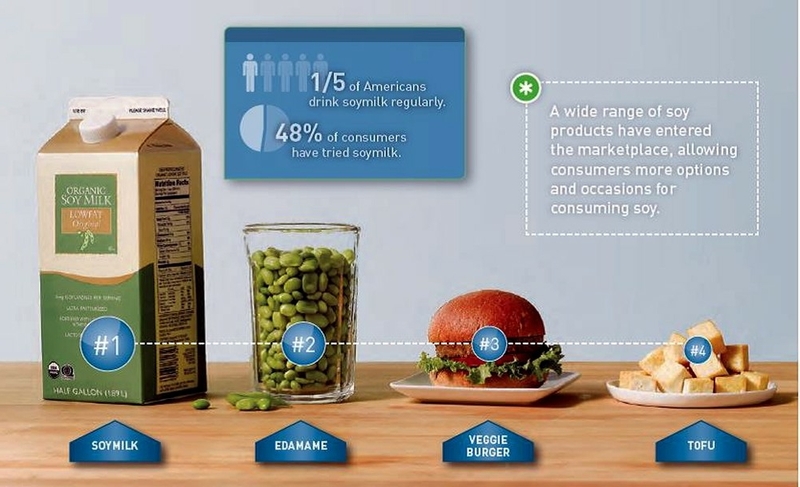 But pasteurization has eliminated much of the flora found in modern foods. The recent boom in probiotic products reflects an effort to re-introduce bacteria believed to promote good health. Probiotics are generally considered safe to eat, but scientists say people with immune deficiencies should consult their doctor first. Companies that sell products with added probiotics claim they offer a range of health benefits, from helping with digestion to boosting the immune system and preventing cavities. Some of the claims are based on reputable scientific study. But others are unproved, and advertising pitches are sometimes exaggerated. The quality of probiotic supplements also varies widely. 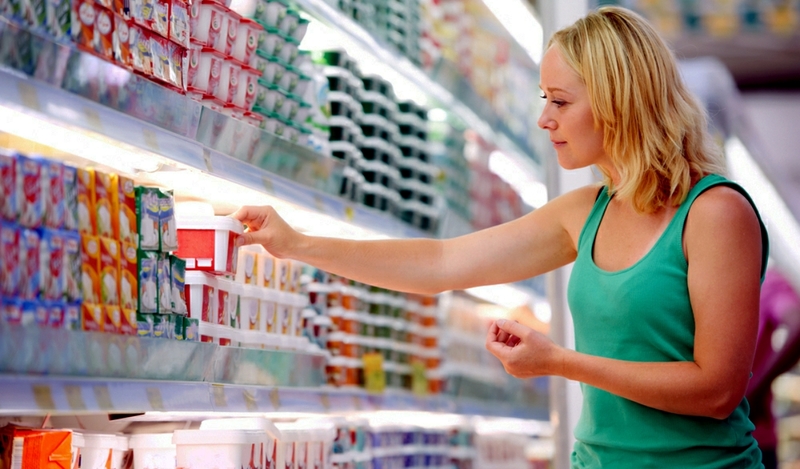 As a result, consumers might have a difficult time choosing among a host of products. Of several hundred probiotic-product lines on the market in North America, “15 to 20 have clinical studies behind them,” says Gregor Reid, a professor of microbiology at the University of Western Ontario’s Lawson Research Institute. Probiotics are defined as “live micro-organisms which when administered in adequate amounts confer a health benefit,” according to 2002 guidelines developed by the World Health Organization and the United Nations. Exactly how this works isn’t fully understood, but scientists believe that good types of bacteria have long lived in symbiosis with humans and that the positive health effects may have evolved over time. In choosing a probiotic, consumers should look for products that list a specific strain of bacteria on their label or on a Web site. Look for three names — in Lactobacillus rhamnosus GG, for example, the final two letters identify the strain. The GG strain has been well tested scientifically and has shown health benefits. A product that simply uses the first two names may include a similar, but not identical, bacterium that doesn’t have the same science behind it. The best evidence is when the actual product — not just the bacterium — has been tested in humans. Such studies are sometimes posted on manufacturers’ Web sites. Otherwise, consumers can do an Internet search of the specific bacterial strain to see if there is credible evidence of a product’s health claims. This can take some legwork. Say, for example, you want information on the active bacteria in Activia, a probiotic-enhanced yogurt from Dannon Co. The product label identifies the strain as Bifidus Regularis, but this is only a marketing name. The Activia Web site, under the tab “for health-care professionals,” links you to summaries of scientific papers that use the scientific name, Bifidobacterium animalis DN-173 010, which has been found to hasten digestion. For additional information, you can do an Internet search of that name and many of the scientific studies on the strain pop up. 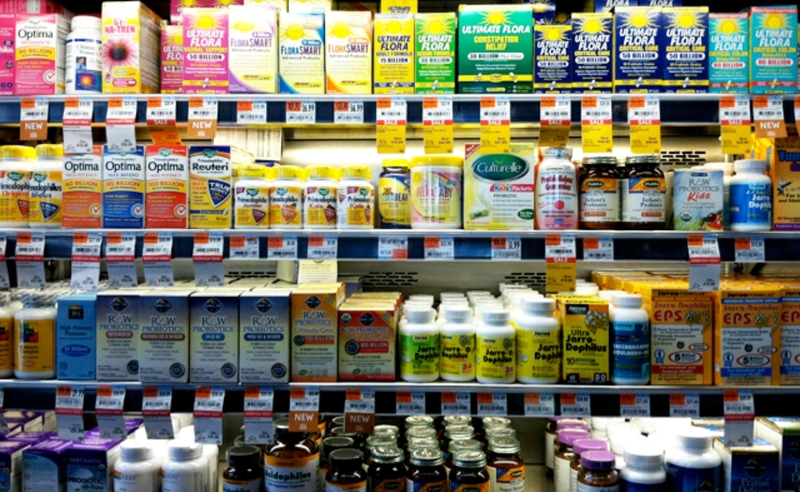 Probiotic dietary supplements also may be confusing. In a 2006 study, ConsumerLab.com, which tests nutritional products, found that just eight of 13 probiotic supplements met its quality standards. While there’s no guarantee, consumers stand a better chance of getting quality products from well known, reputable manufacturers, scientists say. 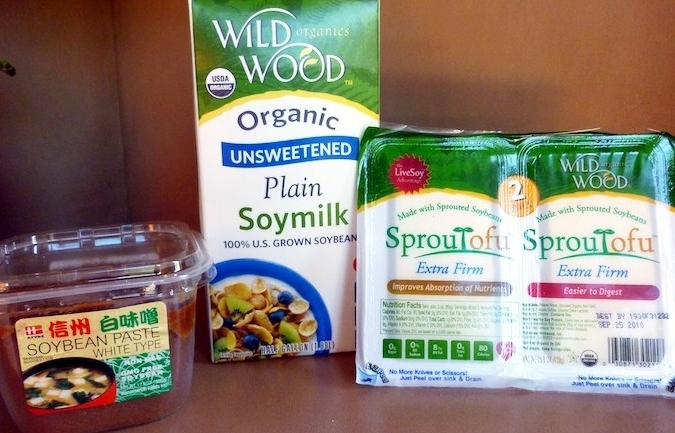 Some additional tips when buying probiotic foods: Look for the word “live” on the package, since organisms killed by processing won’t be helpful, says Gary B. Huffnagle, a professor at the University of Michigan Medical Center in Ann Arbor. Respecting the expiration date is particularly important, because even if a product still tastes good the bacteria may no longer be alive. For maximum benefit, scientists say, try to consume a variety of different bacteria, as each may contribute something slightly different. Faster Digestion: Dannon’s Activia yogurt and Yoplait Yo-Plus yogurt, made by General Mills Inc., contain bacteria that have been shown in scientific studies to reduce “transit time” of waste through the intestines. Slow digestion isn’t necessarily bad but can cause discomfort, such as bloating or constipation. Dannon points to four published studies testing a formulation similar to its product in humans. General Mills says a large body of scientific evidence backs up the efficacy of the bacteria in Yo-Plus. And the company says a recent study, presented at a conference of the American College of Gastroenterology, found that a dairy drink with the same active ingredients as a four-ounce container of Yo-Plus reduced transit time to 21 hours from 31 hours, compared with no change with a placebo. The study was funded by General Mills. Irritable Bowel Syndrome: This disorder, including cramping, abdominal pain, bloating, constipation and diarrhea, can be disabling. A scientific task force, which published its findings in the American Journal of Gastroenterology this month, concluded that certain probiotic bacteria — primarily bifidobacteria — have shown “some efficacy” in treating the condition. One bacterium with solid science behind it is Bifidobacterium infantis 35624, the main ingredient in Procter & Gamble Co. ‘s Align dietary supplement. In a 2006 published study, partially funded by P&G, a daily dose of the product was shown to relieve a wide range of symptoms better than a placebo. Colic: When babies scream or cry with no apparent reason, it’s called colic. A study of 83 infants, published last year in the journal Pediatrics found that five drops a day of a probiotic supplement from Sweden’s BioGaia AB reduced median crying time from 197 minutes a day to 51 minutes. A control group of babies was given a liquid medication commonly used to treat colic but not widely viewed as effective; this group’s crying fell to a median of 145 minutes a day. 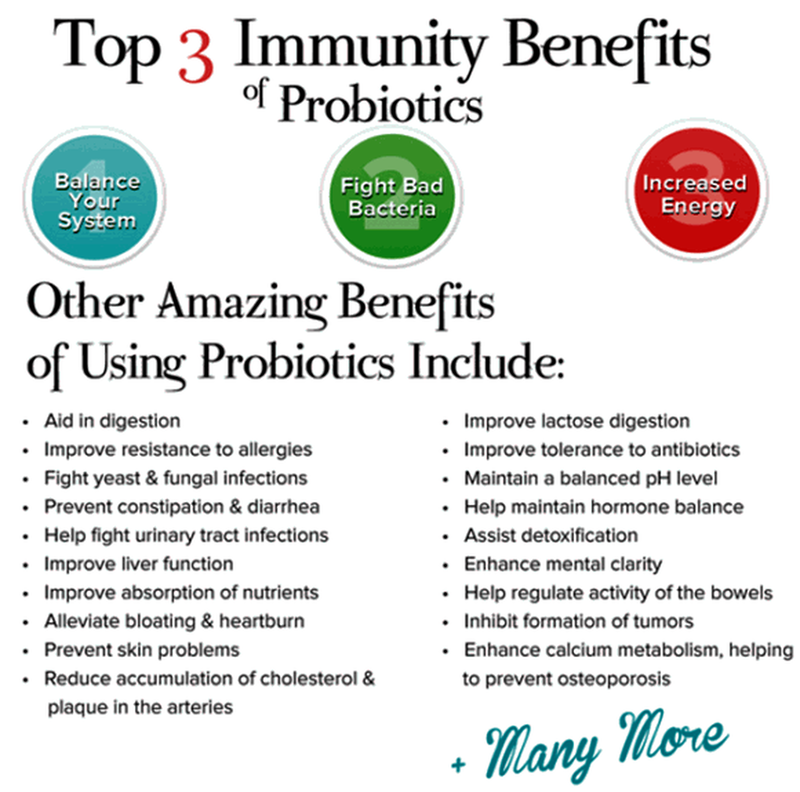 Immune Health: Studies have long found that probiotics help regulate the immune system on a biochemical level. A small but growing number of studies are showing concrete health benefits in humans. Among them is an Israeli study that looked at Lactobacillus reuteri 55730 and Bifidobacterium lactis Bb-12. Published in 2005 in Pediatrics, the three-month study of 201 infants found that babies fed with either of the two probiotic formulas had fewer episodes of fever and diarrhea than babies fed a control formula. Of the two bacteria, L. reuteri was more effective in preventing illness, the study found. B. lactis Bb-12 is available in Yo-Plus yogurt and Nestle SA’s Good Start Natural Cultures infant formula. The L. reuteri strain is in BioGaia’s dietary supplements, as well as in Nestle’s Boost Kid Essentials boxed dairy drink. The bacteria are in the straw and are intended to be ingested with the juice. 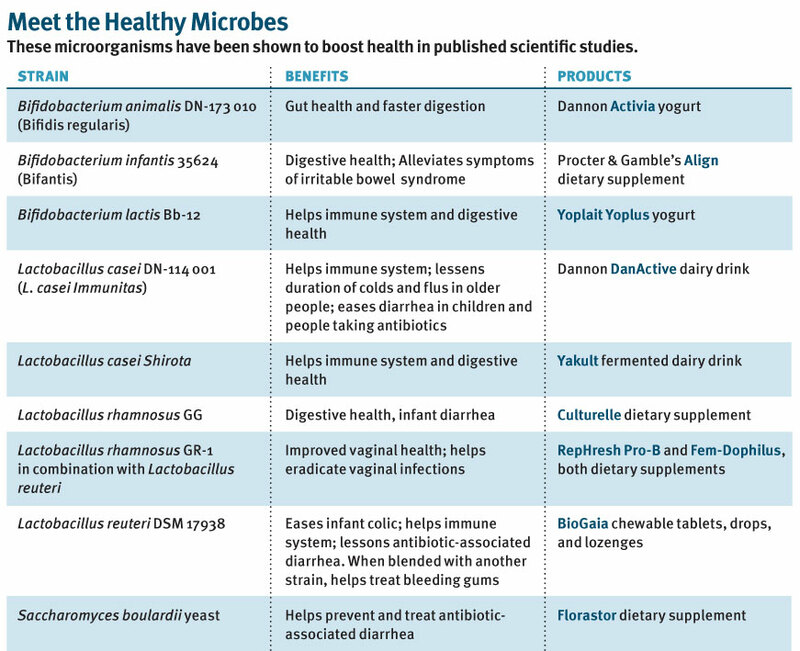 Other bacteria with scientifically demonstrated immune-health properties include Lactobacillus casei DN-114 001, the bacteria in Dannon’s DanActive dairy drink, and L. rhamnosus GG, in Dannon’s Danimals children’s drink. 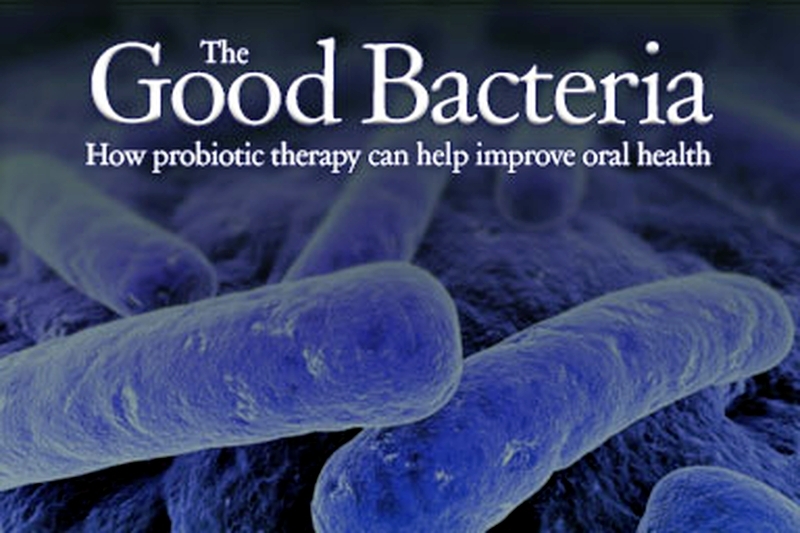 Oral Health: A small number of studies have found benefits for probiotics in preventing cavities and easing gum disease. A two-week, 42-patient study published last year found that daily chewing of gum with BioGaia’s L. reuteri strains improved gum health compared with a placebo gum. The study was funded in part by BioGaia. The gum product is not available in the U.S. But the company sells lozenges that BioGaia says it believes will be as effective as the gum. A seven-month Finnish study of 594 children, published in 2001 in the journal Caries Research, found that children who drank milk infused with L. rhamnosus GG had significantly fewer cavities than those who drank regular milk. The study received funding from Valio Ltd., a Helsinki company that supplies the bacteria to food and dietary supplement companies, including Dannon for use in Danimals. Antibiotic-associated diarrhea: Regular yogurt has long been used to stave off this unpleasant side effect of taking antibiotics. However, supplements and foods fortified with additional probiotics may provide further relief, scientists say. So far there is good scientific evidence for several strains, including L. rhamnosus GG and Saccharomyces boulardii lyo, a yeast sold by France’s Laboratoires Biocodex SA as a dietary supplement under the brand name Florastor. Dannon’s DanActive drink has also been shown effective. 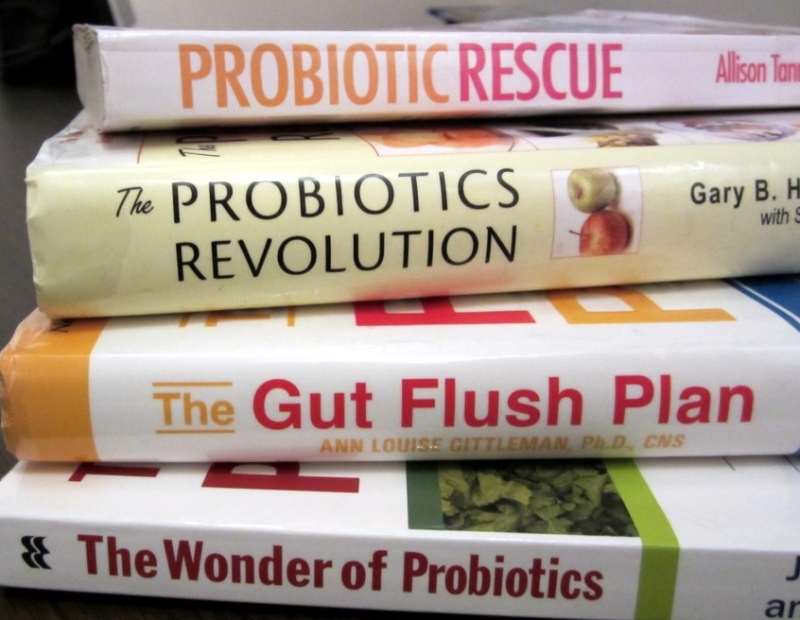 We can’t begin our conversation about prebiotics until we talk about probiotics (much like the way we can’t discuss the cultural effects of “Gossip Girl” without first discussing “Dawson’s Creek”). There’s been a lot of talk recently about probiotics. 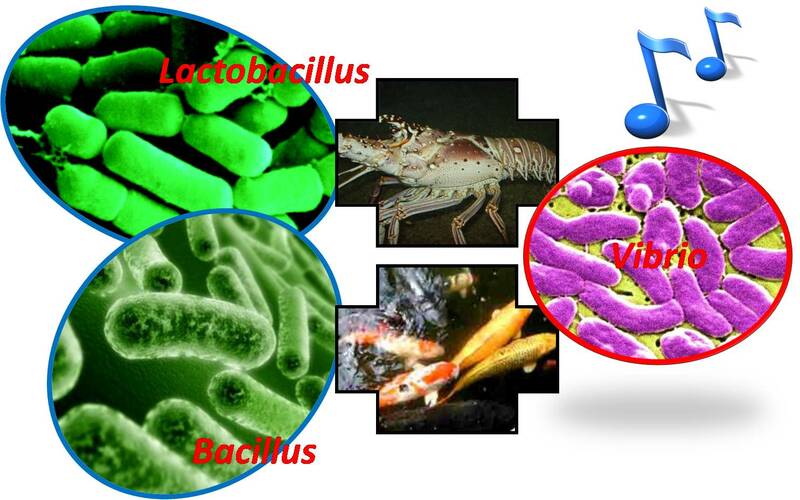 These are the “healthy bacteria” that are found in our gut that aid in our digestive processes. Probiotics can be found in a variety of foods, particularly yogurt (that’s what the label means when it says the yogurt contains “live and active cultures”). Doctors will often recommend taking probiotic supplements when antibiotics are prescribed for an infection. Since the antibiotics are killing off all the bacteria in the body, good and bad, research suggests that taking probiotic supplements can help counteract the ill effects. So where can you get a healthy dose of prebiotics? A Jerusalem artichoke, for one. (Honestly, if I went to the supermarket, I’m not even sure I could point out a regular artichoke, let alone a Jerusalem artichoke, but it’s in all the prebiotic literature). Some other foods that we eat a tad more regularly that contain prebiotics are onions, leeks, whole grains and bananas. These fibers are indigestible, meaning they make their way to our digestive tract intact, feeding probiotic bacteria and keeping our intestines healthy places, filled with good bacteria. Remember not to drive yourself crazy, though. 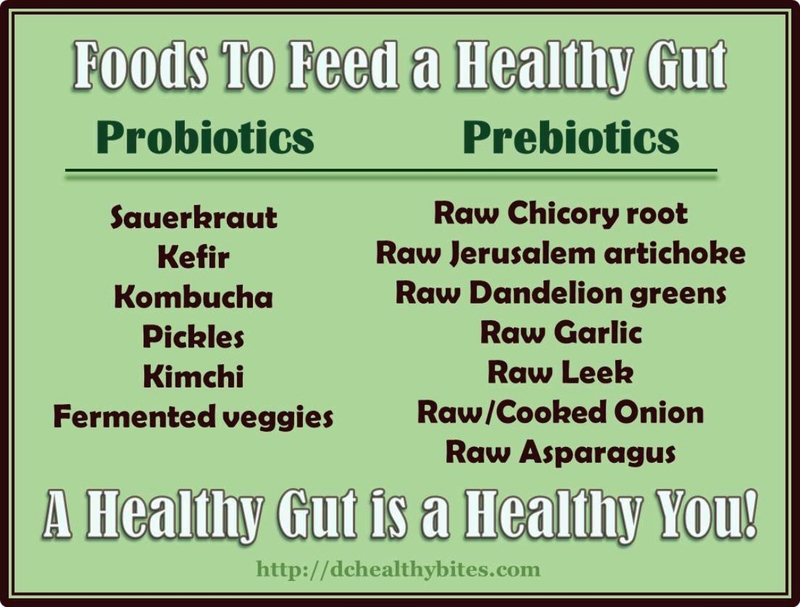 If you generally eat a healthy, varied diet, chances are that you are getting both probiotics and prebiotics. Here is more info on interesting developments about the potential health benefits of probiotics, and read about probiotics’ efficacy in children here. Learn more about the “good bacteria” that can boost your immune system, improve your digestion and much more. Lactobacillus bulgaricus can be found in many yogurts and soft cheeses. It was discovered by the Bulgarian doctor Stamen Grigorov, hence the name bulgaricus. It helps to convert lactose and other sugars into lactic acid, which may be particularly helpful for those who are lactose intolerant. Streptococcus thermophilus has nothing to do with strep throat, which is caused by a completely different bug. These friendly bacteria are also used to make yogurts and cheeses, and they even assist Lactobacillus bulgaricus by making nutrients that assist with growth. Lactobacillus acidophilus and Lactobacillus casei both convert lactose into lactic acid – also helping the lactose intolerant. Research has indicated that L. Acidophilus may also be helpful at reducing cholesterol levels. In order to reap the full benefits of taking probiotics, some experts recommend taking probiotic-rich food or a probiotic supplement for a minimum of two weeks – try it and see if you notice a difference! Probiotics are live microorganisms (e.g., bacteria) that are either the same as or similar to microorganisms found naturally in the human body and may be beneficial to health. Also referred to as “good bacteria” or “helpful bacteria,” probiotics are available to consumers in oral products such as dietary supplements and yogurts, as well as other products such as suppositories and creams. The U.S. Food and Drug Administration (FDA) has not approved any health claims for probiotics. This fact sheet provides a general overview of probiotics, with an emphasis on oral products, and suggests sources for additional information. Although some probiotic formulations have shown promise in research, strong scientific evidence to support specific uses of probiotics for most conditions is lacking. Studies suggest that probiotics usually have few side effects. However, the data on safety, particularly long-term safety, are limited, and the risk of serious side effects may be greater in people who have underlying health conditions. 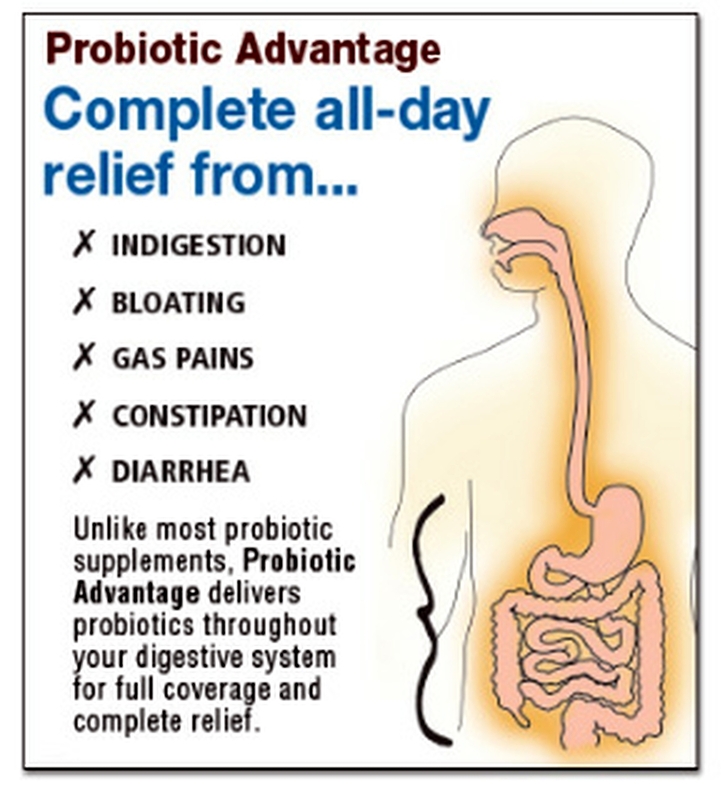 If you are considering a probiotic dietary supplement, consult your health care provider first. Do not replace scientifically proven treatments with unproven products or practices. Probiotics are not the same as prebiotics—nondigestible substances that stimulate the growth and/or activity of potentially beneficial microorganisms. The term “synbiotics” refers to products that combine probiotics and prebiotics. The concept behind probiotics was introduced in the early 20th century, when Nobel laureate Elie Metchnikoff, known as the “father of probiotics,” proposed in The Prolongation of Life: Optimistic Studies that ingesting microorganisms could have substantial health benefits for humans. Microorganisms are invisible to the naked eye and exist virtually everywhere. Scientists continued to investigate the concept, and the term “probiotics”—meaning “for life”—eventually came into use. Picturing the human body as a “host” for bacteria and other microorganisms is helpful in understanding probiotics. 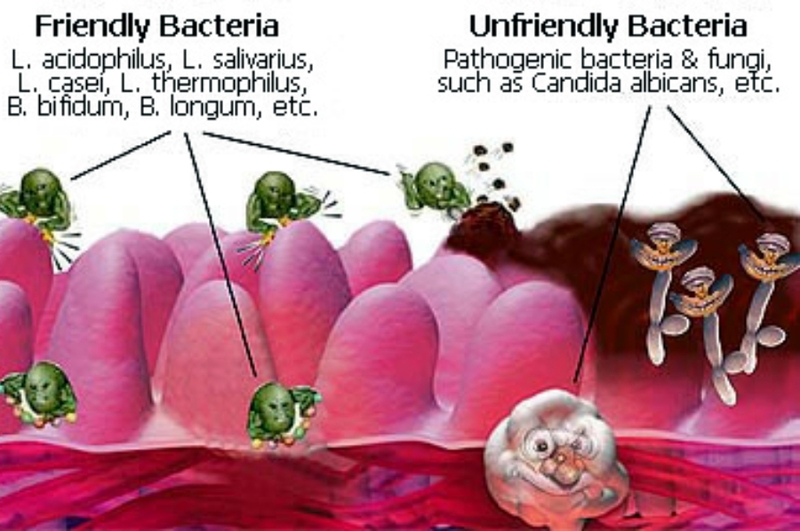 The body, especially the lower gastrointestinal tract (the gut), contains a complex and diverse community of bacteria. (In the body of a healthy adult, cells of microorganisms are estimated to outnumber human cells by a factor of ten to one.) Although we tend to think of bacteria as harmful “germs,” many bacteria actually help the body function properly. Most probiotics are bacteria similar to the beneficial bacteria found naturally in the human gut. 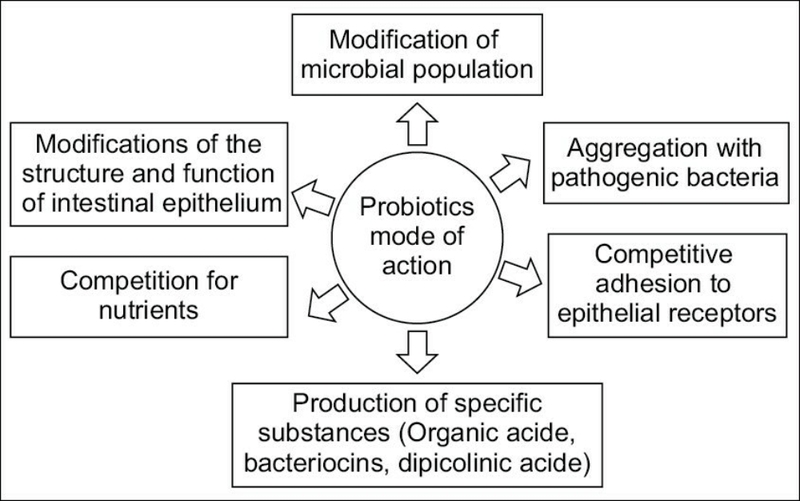 Various mechanisms may account for the effects of probiotics on human health. Possible mechanisms include altering the intestinal “microecology” (e.g., reducing harmful organisms in the intestine), producing antimicrobial compounds (substances that destroy or suppress the growth of microorganisms), and stimulating the body’s immune response. 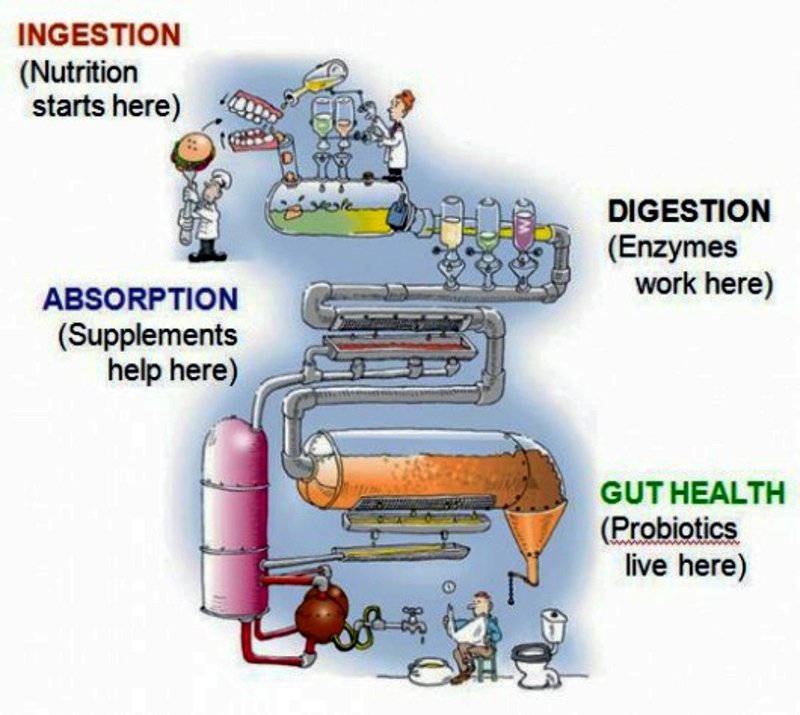 Government regulation of probiotics is complex. Depending on a probiotic product’s intended use, the FDA might regulate it as a dietary supplement, a food ingredient, or a drug. Many probiotic products are sold as dietary supplements, which do not require FDA approval prior to marketing. Dietary supplement labels may make claims about how the product affects the structure or function of the body without prior FDA approval, but they cannot make health claims (claims that the product reduces the risk of a disease) without the FDA’s consent. (For more information about dietary supplements, see Using Dietary Supplements Wisely.) A product that is marketed as a drug must meet more stringent requirements. It must be proven safe and effective for its intended use through clinical studies (tests in people) and be approved by the FDA before it can be marketed. 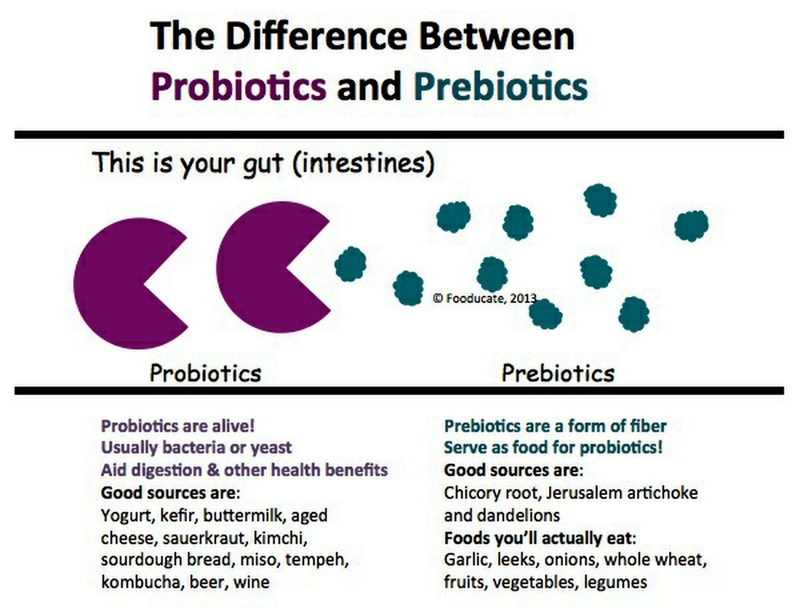 In the United States, probiotics are available as dietary supplements (including capsules, tablets, and powders) and in dairy foods (such as yogurts with live active cultures). According to the 2007 National Health Interview Survey, which included a comprehensive survey on the use of complementary health approaches by Americans, “prebiotics/probiotics” ranked fifth among natural products used for children, but were not among the top-ranking products for adults. Although probiotic products are more popular in Europe and Japan than in the United States, the U.S. consumer market for probiotics is growing rapidly. Although the FDA has not approved any health claims for probiotics, they are used for a variety of gastrointestinal conditions such as infectious diarrhea, diarrhea associated with using antibiotics, irritable bowel syndrome, and inflammatory bowel disease (e.g., ulcerative colitis and Crohn’s disease). Probiotics are also being used for preventing tooth decay and for preventing or treating other oral health problems such as gingivitis and periodontitis. 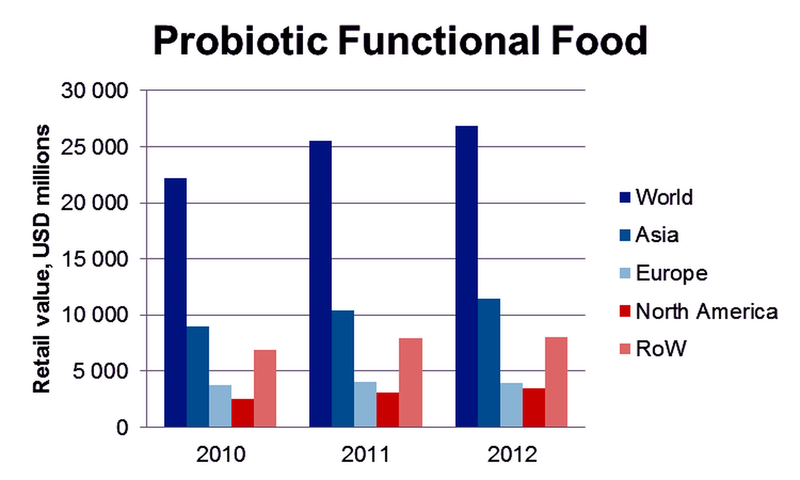 Some—but not all—probiotic formulations have been widely studied and show considerable promise. However, the rapid growth in marketing and consumer interest and use has outpaced scientific research on the safety and efficacy of probiotics for specific health applications. 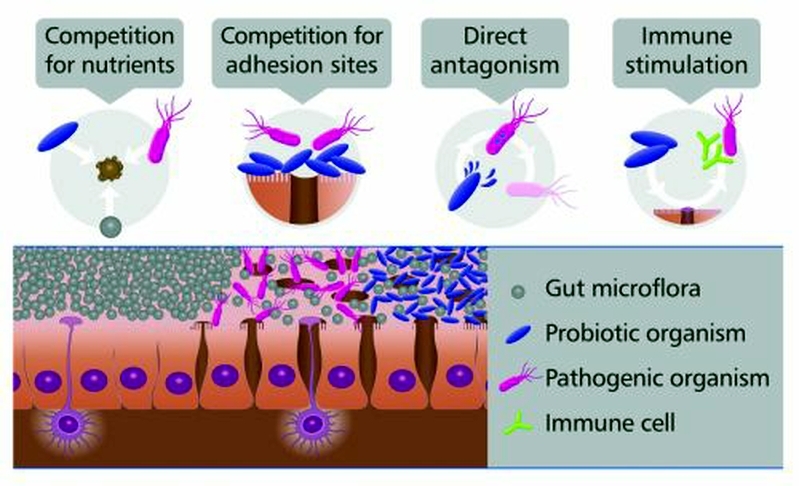 The potential of probiotics to benefit human health in many different ways has stimulated great interest and activity among researchers. For example, the National Center for Complementary and Alternative Medicine (NCCAM) is part of the National Institutes of Health (NIH) Probiotic and Prebiotic Working Group, a trans-NIH effort to identify gaps and challenges in prebiotic/probiotic research. Probiotic research is moving forward on two fronts: basic science (laboratory studies) and clinical trials to evaluate the safety and efficacy of probiotics for various medical conditions. Many early clinical trials of probiotics have had methodological limitations, and definitive clinical evidence to support using specific probiotic strains for specific health purposes is generally lacking. Nevertheless, there is preliminary evidence for several uses of probiotics, and more studies are under way. 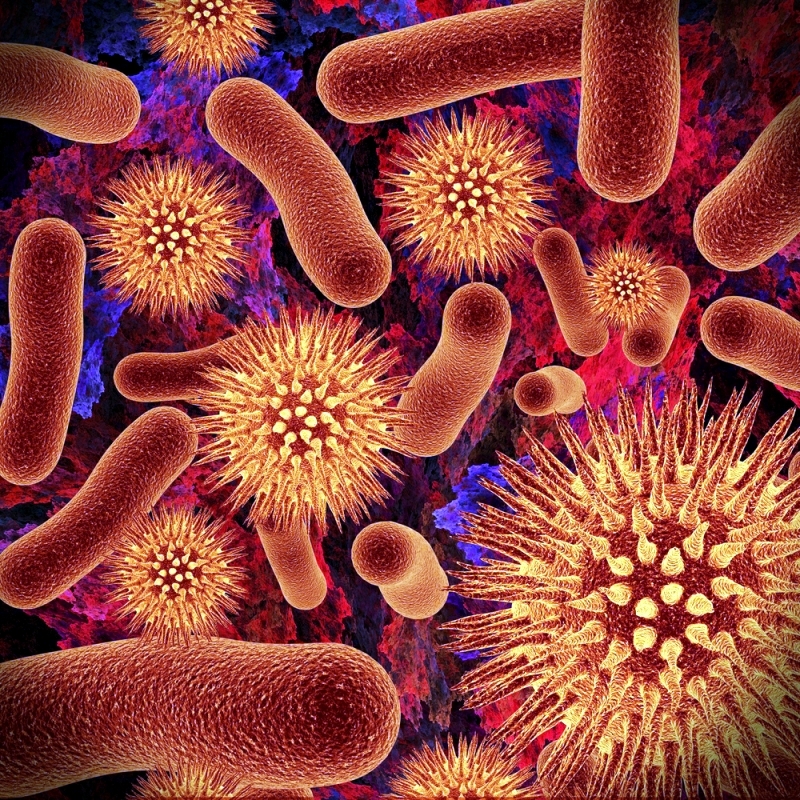 In particular, a recent review of the scientific evidence on the effectiveness of probiotics in acute infectious diarrhea concluded that there was evidence that probiotics may shorten the duration of diarrhea and reduce stool frequency but that more research was needed to establish exactly which probiotics should be used for which groups of people. In 2008, the journal Clinical Infectious Diseases published a special issue on probiotics, which included an overview of clinical applications. 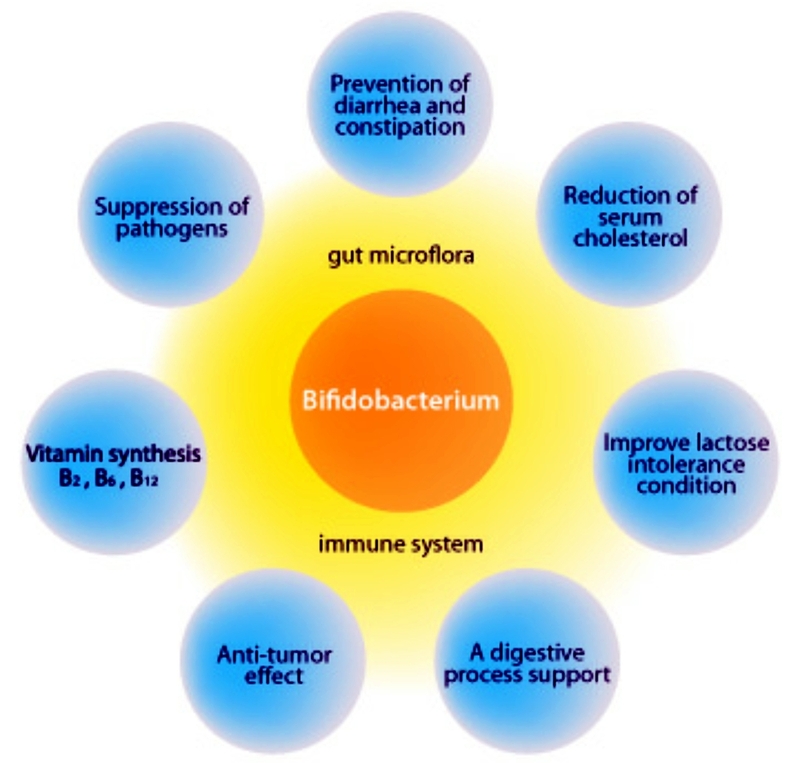 Based on a review of selected studies, the authors classified several applications according to the strength of evidence supporting the efficacy of probiotics in prevention and/or treatment. For example, the authors concluded that strong evidence exists for acute diarrhea and antibiotic-associated diarrhea, and substantial evidence exists for atopic eczema (a skin condition most commonly seen in infants). Promising applications include childhood respiratory infections, tooth decay, nasal pathogens (bacteria harbored in the nose), gastroenteritis relapses caused by Clostridium difficile bacteria after antibiotic therapy, and inflammatory bowel disease. The authors also discussed various potential future applications. Studies also indicate that probiotics may reduce side effects associated with treatment for Helicobacter pylori infection, the cause of most stomach ulcers. A systematic review suggests that there is strong evidence that probiotics may reduce the risk of necrotizing enterocolitis, a severe intestinal condition of premature newborns. Other potential future applications include use in reducing cholesterol levels, treating obesity, and managing irritable bowel syndrome. It appears that most people do not experience side effects from probiotics or have only mild gastrointestinal side effects such as gas. But there have been some case reports of serious adverse effects, and research on safety is ongoing. A 2008 review of probiotics safety noted that Lactobacillus rhamnosus GG has been widely studied in clinical trials for a variety of conditions and generally found to be safe. Nevertheless, a recent review of Lactobacillus and Bifidobacterium noted that the long-term, cumulative effects of probiotics use, especially in children, are unknown, and also pointed to evidence that probiotics should not be used in critically ill patients. Similarly, a 2011 Agency for Healthcare Research and Quality assessment of the safety of probiotics, partly funded by NCCAM, concluded that the current evidence does not suggest a widespread risk of negative side effects associated with probiotics. However, the data on safety, particularly long-term safety, are limited, and the risk of serious side effects may be greater in people who have underlying health conditions. Our understanding of probiotics is a work in progress. Although probiotic products are marketed for many different uses, scientific evidence supporting specific uses is still limited, and the FDA has not approved any health claims for probiotics. Before using probiotics, learn as much as you can by talking to your health care provider and researching reliable sources of information. Do not replace scientifically proven treatments with unproven products and practices. Do not use a complementary health product, such as probiotics, as a reason to postpone seeing your health care provider about any health problem. If you are pregnant or nursing a child, or if you considering giving a child a dietary supplement, such as probiotics, it is especially important to consult your (or your child’s) health care provider. Probiotics are live microbes that can be formulated into many different types of products, including foods, drugs, and dietary supplements. Species of Lactobacillus and Bifidobacterium are most commonly used as probiotics, but the yeast Saccharomyces cerevisiae and some E. coli and Bacillus species are also used as probiotics. Lactic acid bacteria (LAB), including species of Lactobacillus, which have been used for preservation of food by fermentation for thousands of years, can serve a dual function by acting as agents of food fermentation and, in addition, potentially imparting health benefits. 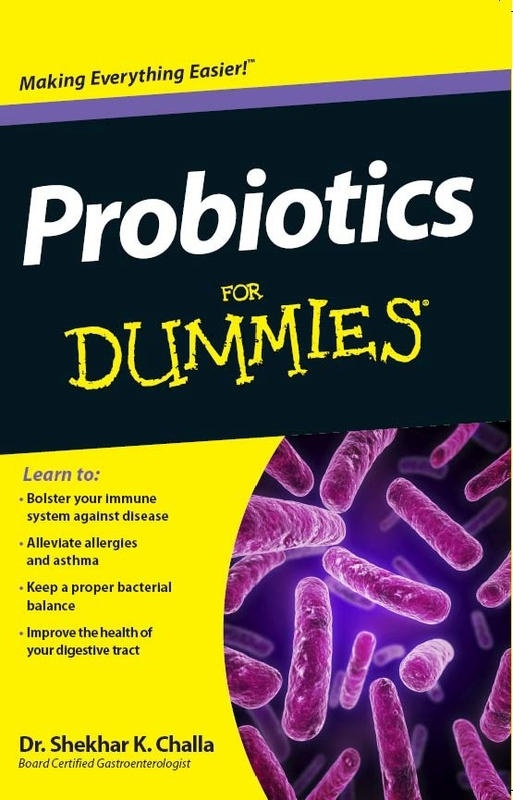 Strictly speaking, however, the term “probiotic” should be reserved for live microbes that have been shown in controlled human studies to impart a health benefit. 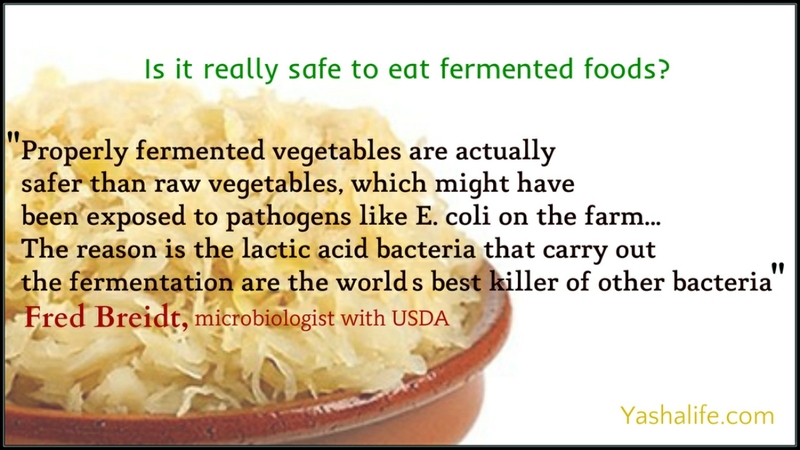 Fermentation of food provides characteristic taste profiles and lowers the pH, which prevents contamination by potential pathogens. 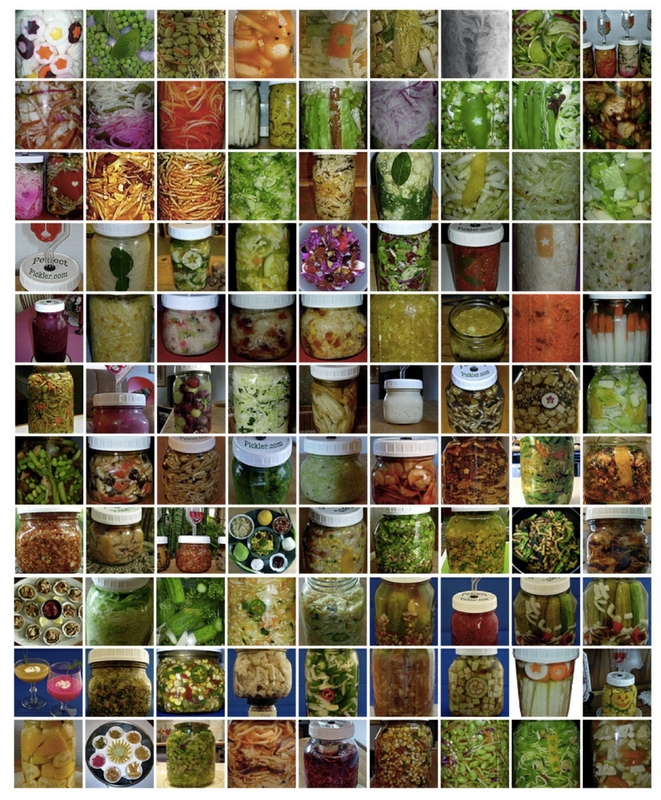 Fermentation is globally applied in the preservation of a range of raw agricultural materials (cereals, roots, tubers, fruit and vegetables, milk, meat, fish etc.). 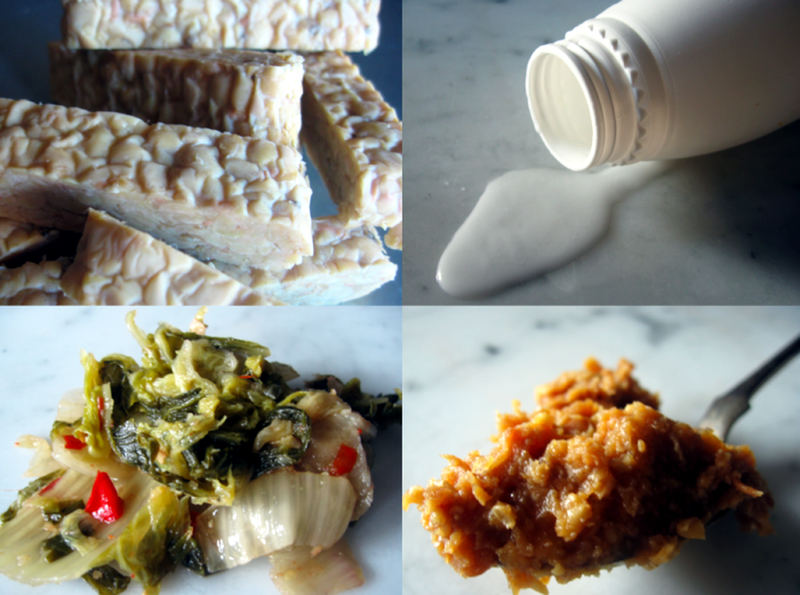 Is it important to include probiotics and prebiotics in a healthy diet? You don’t necessarily need probiotics — a type of “good” bacteria — to be healthy. However, these microorganisms may help with digestion and offer protection from harmful bacteria, just as the existing “good” bacteria in your body already do. Side effects are rare, and most healthy adults can safely add foods that contain prebiotics and probiotics to their diet. If you’re considering taking supplements, check with your doctor to be sure that they’re right for you.